Bungie is blocking Destiny 2 players from using the PlayStation 4 timed-exclusive weapon after it was accidentally offered to Xbox One and PC players by Xur. 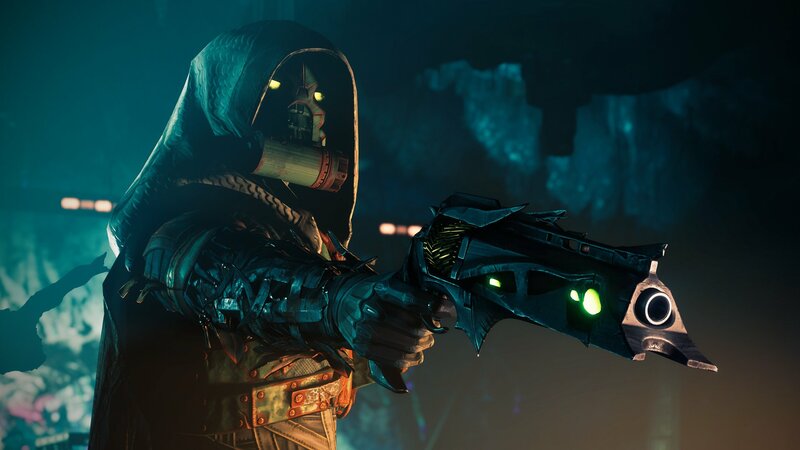 Bungie is about to prevent Xbox One and PC Destiny 2 players from equipping a weapon they may have purchased from Xur. Introduced into the game via patch last weekend, the PlayStation 4 exclusive Wavesplitter weapon was inadvertently offered to players on other platforms, and it will soon be blocked from use on both PC and Xbox One. "We’re investigating an issue where the Sony exclusive weapon Wavesplitter was made available from Xûr on Xbox and PC. We’re currently working on a fix. In the meantime, Xbox and PC players who acquired the weapon will be able to use it. After the fix goes live, they will still have it in their inventories, but will not be able to equip it until this weapon enters the general Exotic loot pool in September 2019." Of course, many fans aren't exactly happy with the change. The Wavesplitter was meant to be a timed exclusive, however, so the chance to use the weapon on PC and Xbox one could be considered something of a teaser for what those players can expect to use later in the year. Though both Destiny and Destiny 2 have played host to a series of PlayStation exclusive weapons, maps, and strikes, it's not exactly intentional for those things to launch simultaneously across all platforms. Mistakes do happen, of course. At the very least it seems that Bungie is moving quickly to set things right for all players. All users who purchased the Wavesplitter will be able to enjoy it for now, but soon it will once again be a PlayStation exclusive until this coming September.